I think child labor is wrong, it’s sad and the children who are working probably wants to cry everyday cause there going to do that for about there whole life. For sadness I used the colour blue because, the colour blue reminds me of sadness. And for crying I drew tear drops. And I made black bumps because they have to work there whole life and nothing new probably happens in there life. 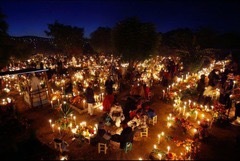 The Day of the Dead is a three day holiday when the dead are honored. 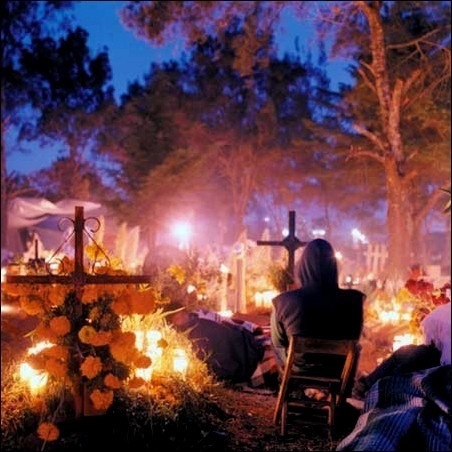 Mexicans believe that their loved ones’ spirits come back on the third Day of the Dead. On the first day, they prepare. 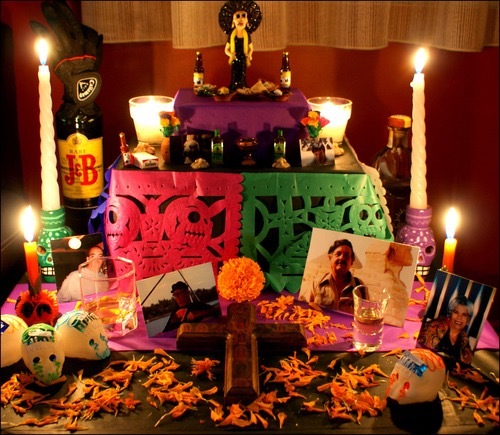 They set up altars and put things on it. They put pictures of their loved ones and favourite things they liked on the altar. They put salt on the altar to keep away the bad spirits. They also put their favourite foods and drinks of their loved ones. They also put dirt and water on the altar for the lands and waters they have traveled over. 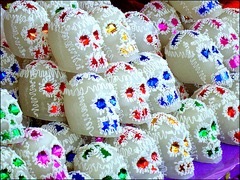 Papier-mâché skulls are put on the altars, and they are called sugar skulls. On the second day, they remember the little kids. It is called the day of the little angels. In Mexico lots of children 5 and under die of diseases, so the second day of this holiday is dedicated to them. They do the same thing that happened on the Day of the Dead, which is the third day. the people who’s children died celabrate it though. 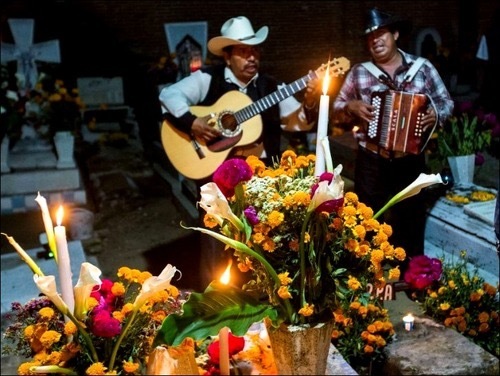 On the third day, mexicans stay up all night and sing songs and at there love ones tomb stones. 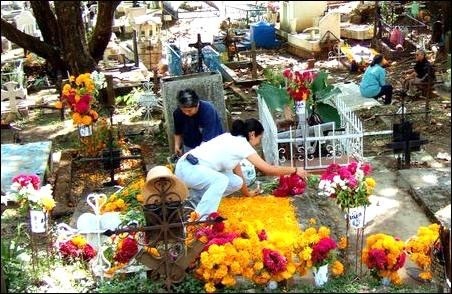 If you guys don’t know that the Day of the Dead IS NOT A MEXICAN HALLOWEEN!! It’s a celebration of the life’s of the loved ones who have passed. They put out the floweres of the dead, marigolds, on their loved ones tombstones, and they also paint there faces and have fun. – Hay flores amarillas y anaranjadas, el cempasúchil es una flor amarilla y anaranjada. 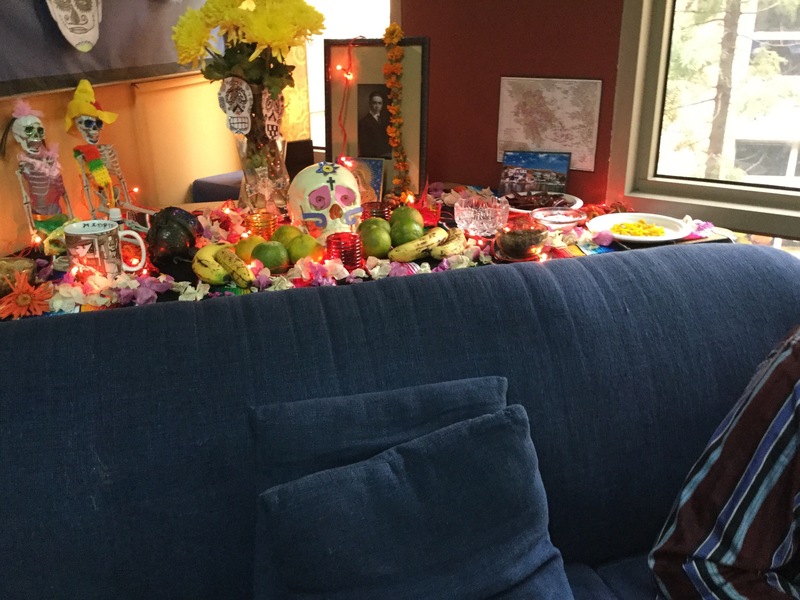 – Fruta y flores decoran un altar. 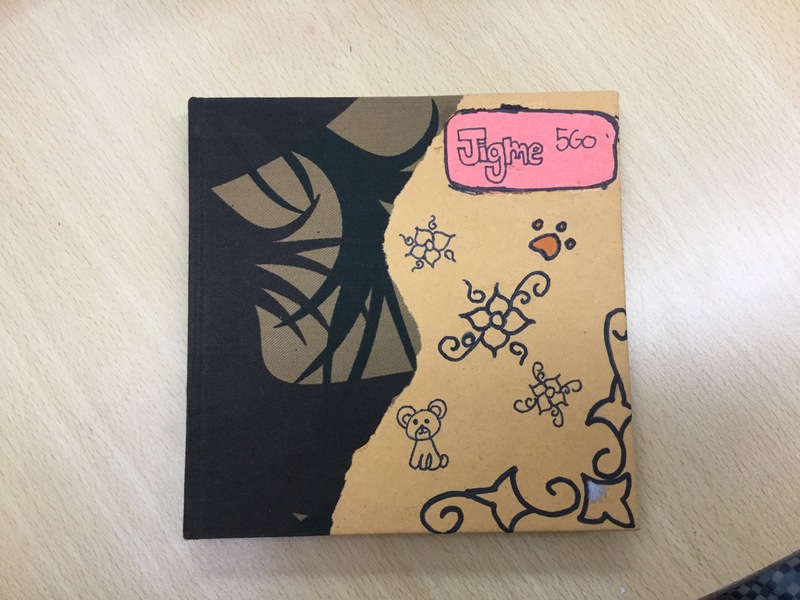 – Hay calavera de azúcar. 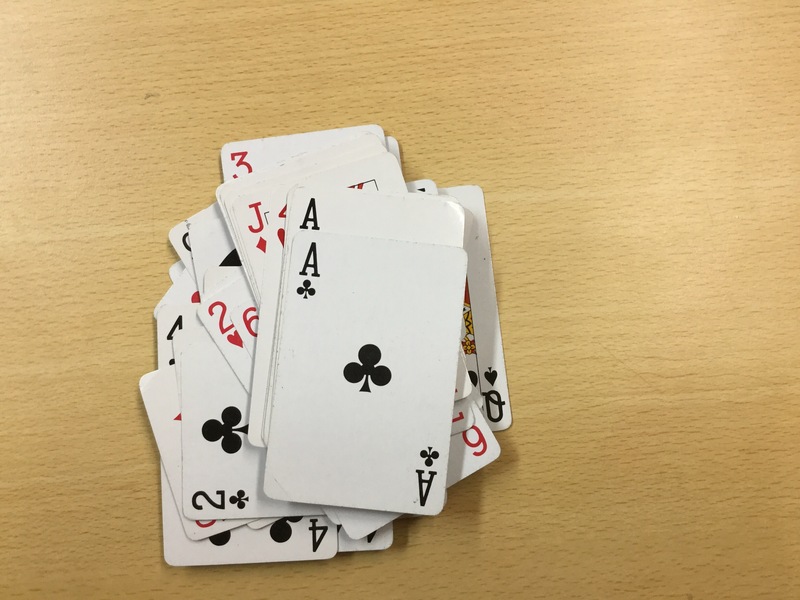 – Hay cala as graciosas. 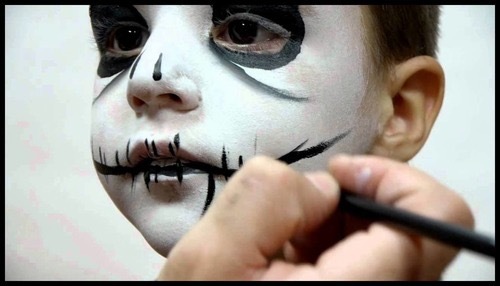 Here are some pictures of what they do at El Día De Los Muertos. And that is, El Día De Los Muertos.